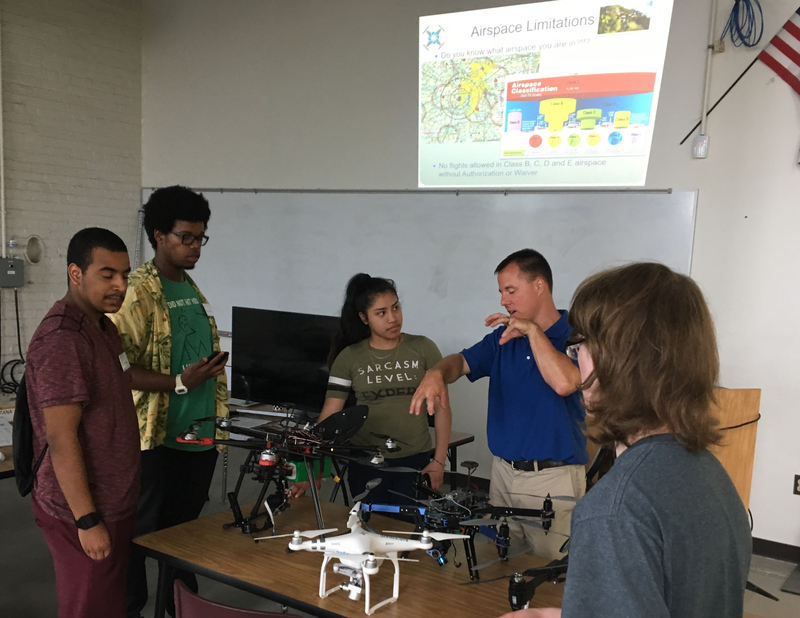 Brian Pfaehler, Pilot in Command at DronEye Imaging partnered with Duke Realty-Construction to teach about Drones in Construction for the Science, Technology, Engineering and Math (STEM) program at Arsenal Technical High School Thursday, April 20, 2017. The STEM education efforts create the opportunity to educate student’s insight and interests towards a career in STEM fields, related to Construction Technology. The class was taught in the STEM Learning Lab at their Career Technology Center (CTC) and taught to 25 juniors and seniors enrolled in the program. 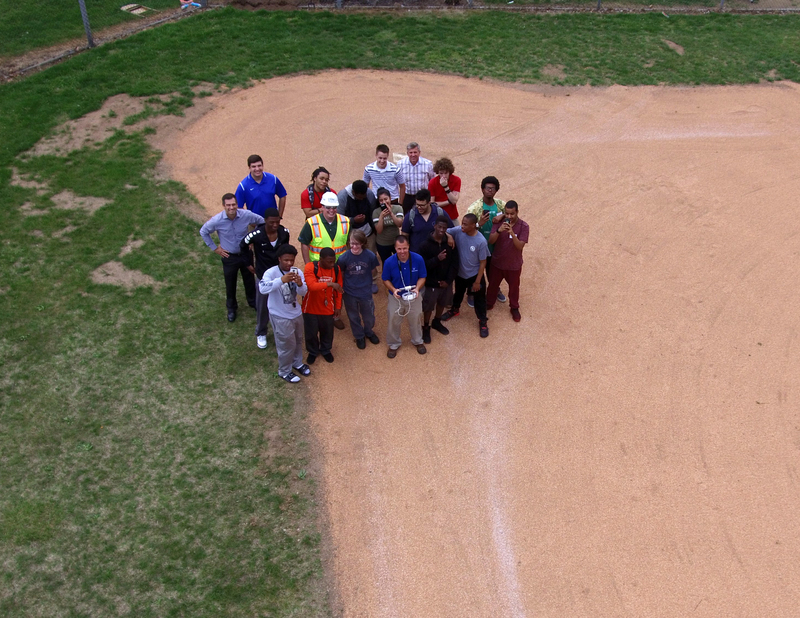 This class also ended with an exciting and eye-opening drone demonstration. 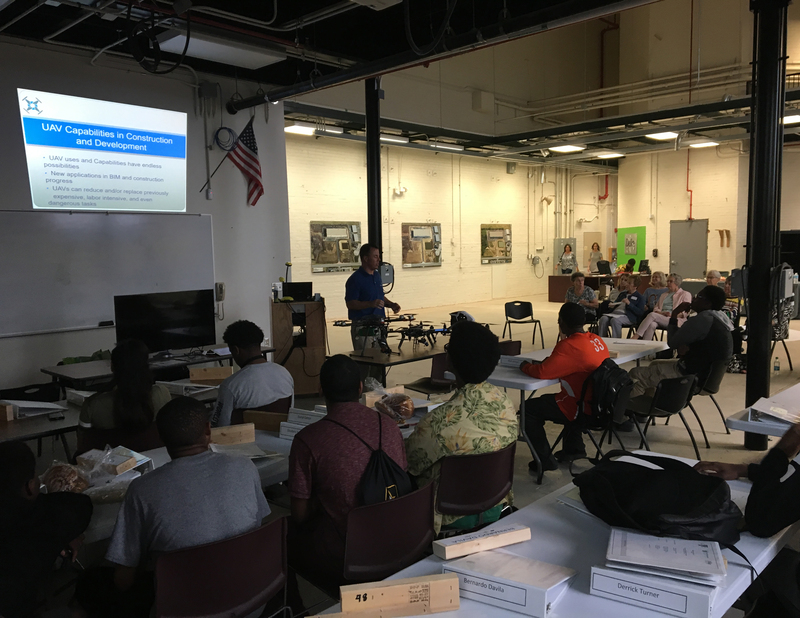 The Duke Realty team teaches and/or organizes a regular class that exposes students to people and careers in construction management and other related fields. DronEye Imaging was able to discuss and teach about drones in construction topics that included 3D modeling & mapping, real-time orthomosaics, stockpile mapping & monitoring (including calculations), digital surface modeling, 3D modeling of construction site conditions, aerial photography, aerial video, quality control inspections, and thermal imaging. 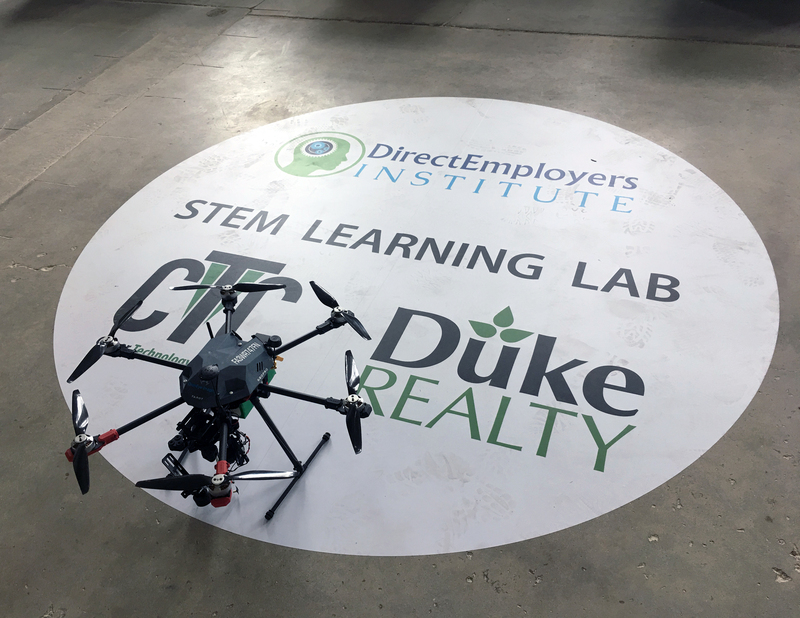 DronEye Imaging is thankful to join Duke Realty, an industry leader, for the opportunity to give back in a STEM and Construction Technology kind-of way. DronEye Imaging is one of Indiana’s first FAA compliant drone businesses and has been in business since 2015. DronEye Imaging continues to volunteer time and resources to local STEM programs near Indianapolis, IN. The company, founded by two engineers, recognizes the need to be a voice about real-world opportunities and career paths for students in STEM fields and believe that STEM is key to our future competitiveness. Donate to Local STEM programs today! 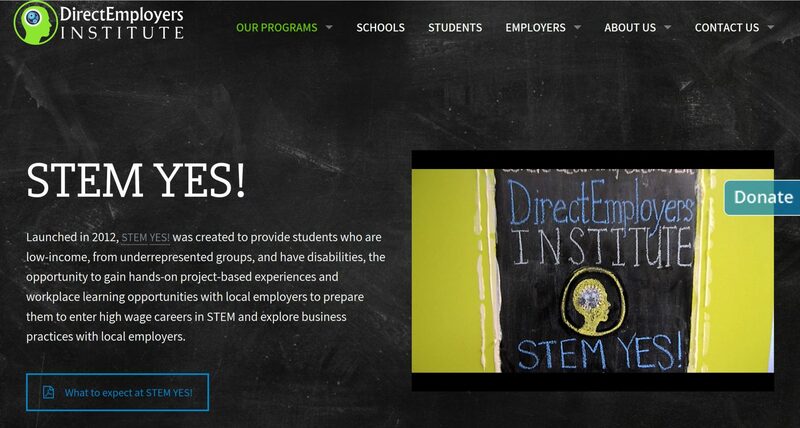 If you would like to donate towards the local STEM efforts donate to DirectEmployers Foundation today!